This homework will give you a much clearer picture of what you’re looking for in a new candidate, Doucette says. From a sourcing perspective, it will also help generate better information for keywords. “When you know what you’re looking for, it’s easier to find,” he says. In addition, advanced search technology such as Monster’s Power Resume Search is built around semantic searches for synonyms of these competencies and objectives, creating richer results than simple Boolean searches for lists of job skills. Hiring someone who’s a bad fit can be worse than not making a hire at all. The best way to avoid a bad hire is to align the process with your company’s values. “Hiring people with values that mirror your company’s culture is crucial,” says Laura Yip, co-founder and chief people officer at Storm8, a mobile game network based in Redwood Shores, California. If your company’s success relies on its company culture, avoid risking it just to fill a position, she says. Having several people participate in one interview saves time -- it also can provide multiple perspectives to the same answer, says Scott Wintrip, founder of Wintrip Consulting Group in St. Petersburg, Florida, and author of the upcoming book, High Velocity Hiring: How to Hire Top Talent in an Instant. “There are limits to our perception; you tend to miss things that aren’t your expertise or are unexpected,” he says. In a hiring environment, this can mean missing small cues that a candidate might not be the best choice if only one person is in on the interview. 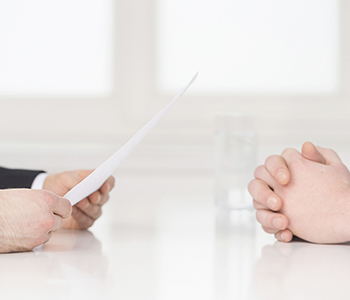 If you’re moving fast, you may be tempted to cut corners in your interview process. That can leave out important steps -- or worse, make you ignore a nagging feeling that something is a little off. When that happens, you’re more likely to make the wrong choice. “Do your reference checks and listen closely for concerns and red flags,” says Mikaela Kiner, founder and CEO of UniquelyHR, an HR consultancy in Seattle. In the post-interview debriefing with other team members, spending a little extra time talking about why the person might not be a good hire. “Ask everyone to answer the question ‘If this person doesn’t work out, why would that happen?’ ” Kiner says.